Shoei X-12 Helmet: What's Your Trajectory? Speed. It is that simple. 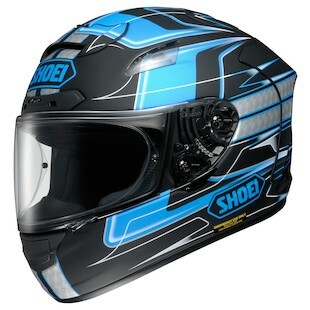 The Shoei X-12 is all about it. That is what it exists for. Track days and important races. It is… well… its destiny. The new Shoei X-12 Trajectory Helmet is a graphic that pays homage to the task of going fast. With a frantic assortment of streaking lines this helmet just begs to be in top gear and flying towards the finish line. It is all about the track ahead and gripping the controls with skill as you navigate the the tarmac with precision. For a top-tier helmet built for the most discerning riders on the planet, it is tough to beat the X-12 from Shoei.